My name is Tim McDonald and I am the head men's basketball coach at Cabrini College in Radnor, PA. Basketball has been great to me and I hope to share my experiences with anyone who wants to read along. As we all know coaching is a sharing/stealing profession so I will also be sharing various plays, philosophies, drills, etc…Please feel free to submit any items to me and I will include them on the site with your name and where you coach. Here is a six step list to developing a cohesive team. I found this in the Coaching and Leadership Journal. The article also deals with team building and goal setting. Enjoy! Step One: Set the team goal. All team members work together by fulfilling their roles and helping each other to succeed. Step Two: Determine the roles that are necessary for the team to succeed. Emphasize that all roles are of equal importance. Step Three: Carefully evaluate and place the right team members in the right roles. Explain what that role is and why it is important to the team. Step Four: Allow each team member to develop within that role. They must be given freedom to create new and better ways to do the job. Step Five: Evaluate, evaluate, evaluate. Step Six: Hold regular meetings to ensure everyone understands the team goals and other aspects of team play. 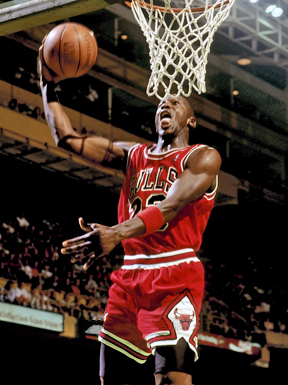 This entry was posted in Articles, Coaching Advice and tagged AAU, Amateur Athletic Union, Assistant Coaches, Basketball, Basketball Plays, Cabrini College, coach, Coaching, Coaching Advice, Coaching Articles, College Basketball, D1, D3, Education, family, friends, Head coach, Health, Hoops, Michael Jordan, Motivation, National Association of Basketball Coaches, National Collegiate Athletic Association, NCAA, networking, Paintball, Phil Jackson, Playbook, Players, Recruiting, Recruits, relationships, Scottie Pippen, Sports, Success, Team, Team building, United States, Winning. Bookmark the permalink. Best Is Better: 8 Ways To Create Excellence In Anything You Do. Rowena on Play of the Day!